Thousands of New Zealanders have expressed their concerns to the Government regarding UN Resolution 2334, in letters, petitions, protests, and in comments on social media. 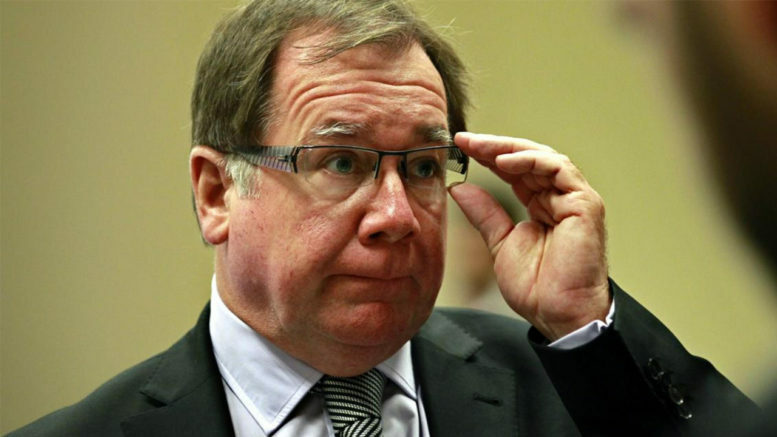 Foreign Minister Murray McCully’s response in the NZ Herald today merely serves to confirm that he is out of touch with his constituency, many of whom were traditional National supporters. He has mis-read, mis-interpreted or is deliberating ignoring those concerns and has continued to claim that settlements are the obstacle to peace in the Middle East. As Bill English headed off to Europe for an official visit he made the following comment. McCully has said he thinks resolution 2334 is “balanced and fair”, that there was nothing new in it and that sponsoring and voting for it was in line with “longstanding policy positions”. So, McCully and English are standing by the oft-repeated lines that the resolution is consistent with New Zealand policy and that New Zealand takes a balanced position on the Palestinian/Israeli conflict. Repeating these mantras does not make them become any more convincing. Upon scrutiny, they are simply not borne out by the facts. Indeed, one must question whether anyone saying this has actually read the resolution and understands its implications. The resolution is patently not balanced and goes well beyond the recent New Zealand policy of condemning settlements. UN Watch’s Hillel Neuer has outlined why UN resolution 2334 cannot be considered a balanced text. Here is a summary of his letter. Blames Israel as a “major obstacle” to peace, yet says nothing about the Palestinian refusal to negotiate directly with Israel, and its rejection of countless peace offers. Sends a message to the Palestinians that they need not negotiate, but can instead just wait for the U.N. to give them everything they demand. Does not encourage direct, bilateral negotiations between Palestinians and Israelis because there is no need for the Palestinians to change their policy of non-engagement. Has designated Jerusalem’s Temple Mount and Western Wall, the holiest sites in Judaism, together with the Jewish Quarter as “Occupied Palestinian Territory” without recognising the Jewish connection. Implicitly encourages campaigns seeking to boycott Israeli products, companies and citizens by calling on UN member states to distinguish between the territory of the State of Israel and the territories occupied since 1967. Supports the scandalous 2004 Advisory Opinion of the World Court, which denied Israel’s right to defend itself. Encourages efforts to prosecute Israeli leaders and officers before the International Criminal Court, by effectively ruling that all settlement activity is illegal. Has re-defined the 1949 Armistice Lines as final borders, while the 1967 cornerstone resolution 242 deliberately refrained from doing so. Defenders of Resolution 2334 insist that the resolution condemned Palestinian terrorism and incitement, while in fact the actual text nowhere attributes these crimes to Palestinians. On the contrary, every day the U.N. itself is complicit with Palestinian incitement when its UNRWA school teachers and principals are posting pictures of Hitler and videos of Hamas terror attacks on their Facebook pages. Israel’s leading center-left figures and proponents of a two-state solution—including Isaac Herzog and Tzipi Livni—have unanimously condemned this resolution as dangerous and harmful to peace, and when, by contrast, 2334 was cheered by not only Abbas and Fatah, but also by Hamas and Islamic Jihad. With regard to the history of New Zealand’s dealings with the Arab-Palestinian-Israeli conflict, our policy has been to take an ‘evenhanded’ approach. This effectively has meant not favouring one side over the other. However, past leaders have been more willing to hold Palestinians to account for terrorism and to support direct negotiation between the parties. While settlement activity has in more recent times been mentioned, it certainly didn’t attract the unbalanced (some might say obsessive) focus that it does today. McCully claims that the settlement issue has become more serious, citing the Quartet report of July 2016. However, there was nothing particularly new about that report. The report also gave serious attention to the issue of Palestinian terrorism and incitement, the illicit arms build-up and militant activity and the continuing absence of Palestinian unity. These factors were hardly addressed in Resolution 2334. The Quartet report did claim that settlements were steadily eroding the viability of the two-state solution. However it has been shown that there is virtually no difference between the amount of land Israel controls today and the amount it controlled during the negotiations with the PLO in 2000. If a two-state solution was possible then, it is not significantly more difficult today. The facts on the ground show that the halting of settlement activity or the withdrawal of settlements has made no difference to the intransigence of the Palestinians to accept peace offers. The unilateral withdrawal of Israel from Gaza is a prime example of this, as is the ten-month Israeli moratorium on settlement construction in early 2010, following which the Palestinians still refused to negotiate. Does anyone truly believe that if Israel stop building homes tomorrow peace will be achieved? The practice of drawing moral equivalence between construction and terrorism is absurd enough, but with Resolution 2334, terrorism is passed over very lightly, with vague terminology, and treated as if both parties carry equal culpability, while settlements are treated in a detailed and comprehensive manner. This clearly is not an even-handed approach. Some would say it is morally reprehensible. The UN’s current obsession with settlement activity, supported by New Zealand, is certainly not reflected in New Zealand’s historical record. In 2010 in a statement to the UN General Assembly Foreign Minister Murray McCully mentioned settlements as an impediment to negotiations but stopped short of an outright condemnation – and even then he was still calling for direct negotiations. The first time McCully was reported as singling out Israel for undermining the peace process was in March last year in his speech at the Lowy Institute in Sydney where he stated that the viability of the two-state solution between Israel and Palestine was vanishing because of Israel’s settlement activity. McCully’s mantra about settlement activity being the root of the conflict has continued since then. However, it is hardly a “longstanding policy position”. The approach of calling for both sides to negotiate, without pre-conditions IS longstanding and conducive to peace as is the affirmation of Israel’s right to exist. Surely to any clear-minded person, the latter point is fundamental, and yet the Palestinians still struggle to accept that very basic point. McCully has also failed to condemn Palestinian terrorism. This week’s terror attack in Jerusalem serves to underline the true nature of the conflict and our government’s stance on it. The truck ramming of Israeli soldiers which led to four dead and 16 injured has been condemned by, among others, Australia, UK, USA, and Canada, and the Berlin Brandenburg Gate and Paris City Hall have been lit up with the Israeli flag. And from New Zealand…nothing. This shouldn’t be surprising, since McCully can’t even bring himself to utter the T-word when it comes to Israel. Another leader who has failed to condemn the attack, is the Palestinian Authority’s Mahmoud Abbas. In other words, it’s business as usual for the Palestinians who feel even more emboldened to attain their goals through violent means. What we see is a New Zealand Government which is incrementally changing policy relating to Israel, while presenting it as long-standing and balanced. Worryingly, we are moving further away from our Western democratic allies, and closer to theocracies and dictatorships which do not espouse and practice liberal values and principles. A refusal to condemn Palestinians for terrorism or identify the real root cause of the conflict, an obsession with settlements as the major obstacle to peace, denying Jewish rights to East Jerusalem, and pre-determining the borders of a Palestinian state, are in fact major departures from New Zealand policy, and completely one-sided. Either our leaders are ill-informed, or they think those who they purport to represent are. In 1997 Prime Minister Jim Bolger made a statement that “This latest act of terrorism undermines the latest attempts to reopen negotiations between the Israelis and Palestinians.” There was no mention of settlements even though they were almost identical in land size to today. Similarly, Foreign Minister Don McKinnon spoke about the dangers of terrorism and the need for negotiations in 1998. He didn’t utter a word about Israeli buildings but appealed to both parties to stand steady in their commitment to the peace process, particularly in the face of a spate of terrorist attacks in Israel. In 2001, Goff told the world that “New Zealand condemns unequivocally the use of terror…” and reiterated that “Only a negotiated agreement between the parties, and the coming into being of a viable Palestinian state, can bring [a durable peace] about.” There was mention of a “vicious cycle of brutality” and of “the Israeli blockade” but no mention of settlement activity. There was strong condemnation of terror from Goff later in 2002 – “New Zealand utterly condemns the murder of seven innocent Israeli civilians by two suicide bombers.” but no mention of settlement activity once more. In 2003, Goff was optimistic about the three-phase Roadmap for Peace. Phase I of that plan was “Ending Terror And Violence, Normalising Palestinian Life, and Building Palestinian Institutions” and nowhere in the press release was there mention specifically of Israeli settlements – only “Permanent Status Agreement” as part of Phase III. There was mention of settlement activity when Goff made a statement following the 2004 Advisory Opinion of the World Court. However, the focus of his condemnation was the security fence, not the settlements. The focus of Prime Minister Helen Clark’s 2006 statement was violence and there was no mention of settlements. She said “The message to Hamas and Hezbollah must be that confrontation and violence are destroying the prospects for a peace settlement in the Middle East.” and “Israel must heed the many calls to restrain itself and allow full and immediate access to relief efforts.” at the same time as announcing New Zealand would contribute $500,000 to the OCHA flash appeal and lift its annual allocation to UNRWA from $300,000 to $1 million. There was also no mention of settlement activity in 2008 when Foreign Affairs Minister Winston Peters praised the Hamas-Israel ceasefire. Peters did, however, once again mention New Zealand’s support for “the negotiation of a just, enduring and comprehensive peace settlement in the Middle East”.